This was actually the motivation for me to attend this conference, I am currently reading “Management 3.0” by Jurgen Appelo and so it was quite a surprise when I heard he was coming to Sofia. With only 45 minutes he tried to cover a lot in a short time. 1560s, probably from Italian maneggiare “to handle,” especially “to control a horse,” ultimately from Latin noun manus “hand”. Influenced by French manège “horsemanship” (earliest English sense was of handling horses), which also was from Italian. Extended to other objects or business from 1570s. The way we might have managed in the past might have worked well for people during the industrial revolution. Now however people are increasingly working in a career with creativity at its core. As such we need to rethink the way we do things and that is where Management 3.0 comes into play. He then went on to give some fun example of when he invited some of his team to come round to his house and cook for him – I might try this one in the future when I have a few more people in the Sofia office. The funny thing for me is it appears that everyone has heard of Jamie Oliver. Learn about people, getting people to create a personal map of themselves. This shows what a person is interested in. But never get the person to speak about themselves, instead get others to ask questions. He then quickly jumped on to delegation boards and poker. Where for different things people have different levels of authority. One example of this would be that for expenses less than €500 an employee might be able to spend the money, but a manager might inquire what they spent it on. For amount over that the employee must agree the spending with the manager first. Not everyone might have the same level of authority, e.g. for a new starter they might have to agree on all purchases. Happy people are more productive people. 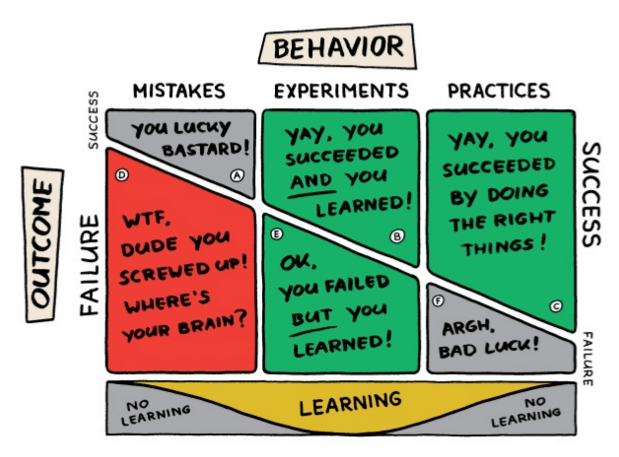 When your experimenting you are learning – you might fail and you might succeed but either way you will learn something. As such not only should success be celebrated but so should learning.